888Poker has confirmed the dates for its Live Rozvadov Kings Festival as January 26 to February 6, and released the Festival tournament schedule. If you like live poker events, it is quite a special time to be in the Czech city of Rozvadov. The Kings Casino has just started hosting the Italian Masters of Poker. The German Masters of Poker gets underway next week, and then the biggest casino in Europe hosts the Forbes Pokerman Tour before the finale of the German Poker Tour in the week after Christmas. If you cannot get to Rozvadov during December, or you intend visiting Prague instead for the WPT and EPT events, 888Poker is offering a good reason to visit one of the most exciting cities in the Czech Republic in the New Year – the 888Live Kings Festival at the Kings Casino in Rozvadov from January 26 until February 6, 2017. The 888Live Kings Festival follows on the heels of an “888Local” live event at the Kings Casino in September, and a superbly successful 888Live London event in October which saw Ka Him Li win the Main Event for an impressive £45,300. 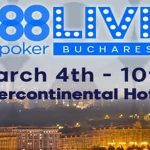 Organisers are expecting the 888Live Kings Festival to be even better than its London equivalent, and is guaranteeing the Rozvadov Main Event for €300,000. However, before the Rozvadov Main Event gets underway, there is a comprehensive schedule of 888-themed side events that opens with a €150,000 guaranteed NL Hold´em tournament and that includes a knock-out event, a PL Omaha event, and a €5,300 buy-in High Rollers event. 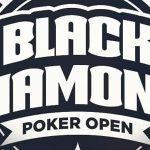 Many of the events have guaranteed prize pools, and most have the option to re-enter before the end of late registration. As well as there being something for everyone in terms of tournaments, satellites will be running for the feature events and cash games will be running throughout the Festival. 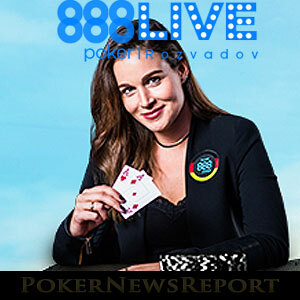 888Poker ambassadors Kara Scott and Natalie Hof are already confirmed as attending the event, and appearances are also expected from Chris Moorman, Dominic Nitsche and Sofia Lovgren – who will have $888 bounties on their heads during the Main Event. If you fancy visiting the Czech Republic in the New Year and competing in the 888Poker Kings Festival, satellites for the Opening Event and Main Event are already running at 888Poker – giving players the opportunity to qualify for the feature events for $12.00 and $30.00 respectively. The Opening Event with its four opening flights (Days 1A, 1B, 1C and 1D) is a double re-entry event, so it could be in your best interests to qualify multiple times, take a few risks with your early chip stacks and still have a discounted buy-in if your risks are unsuccessful. The Main Event has three opening flights and a single re-entry allowed. You can also late register into the Main Event up until the first hand is played on Day 2. It is a great time to be playing at 888Poker right now. The site has just launched its Christmas $800,000 Gift Shower promotion, and the Jackpots are tumbling in 888Poker´s hyper-turbo BLAST games. Due to its international appeal, there is always something happening at 888Poker and, if you have never played at the site before, you have the opportunity to take advantage of a no-deposit bonus. 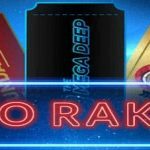 888Poker is giving away free poker money to players who have not yet experienced the thrill of playing at the site. 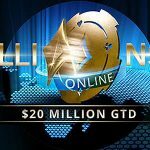 The value of the free poker money varies according to your location, but you can find out more about this offer – and our exclusive deposit bonus offer – in our review of 888Poker. See you in Rozvadov in the New Year!